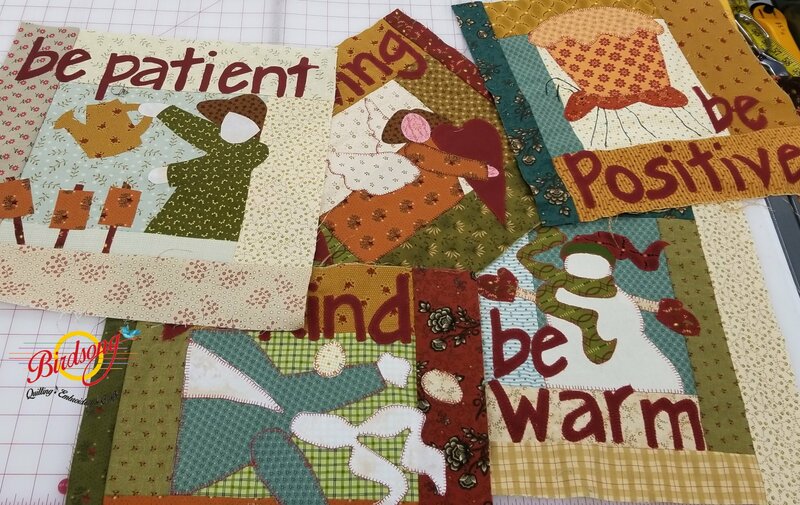 An Applique Block of the Month with a positive message for every month. We are making our quilt using traditional fabrics from Kim Diehl but you can make yours with any fabric you choose. Requirements: Pleas bring basic sewing supplies including your sewing machine, if you would like to sew on one of our machines simply let us know in advance so that we can move one to the classroom for you. Also bring scissors, pins, a rotary cutter, a quilters ruler and thread to match your project. This class does include fabric.